When you plan a trip to the Philippines, you have a lot of options to pick from. 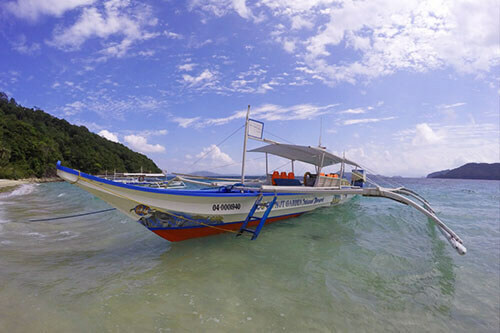 The Philippines have so many islands and places to go to, but our favorite by far is Cacnipa Island, which is an insider’s tip! The beautiful small Island called Cacnipa is located on the east coast of Palawan in the Philippines. You can reach the Island in about 30-45 minutes by boat from Port Barton. 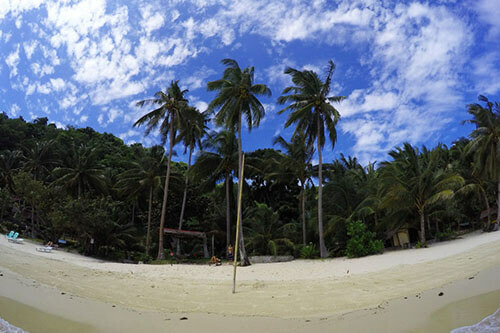 And there is only one single Resort on the Island, the Coconut Garden Resort, which is really amazing. We actually planed to stay there only for 3 days before heading north to El Nido, but we ended up staying a whole week, because we didn’t want to leave this magical island. 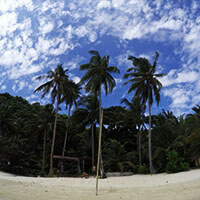 The Coconut Garden Resort is a great hotel to relax and get new energy. We went there with friends from Austria and had an amazing time together. The Hotel is owned by a guy from Switzerland and offers a lot to do on and around the Island! 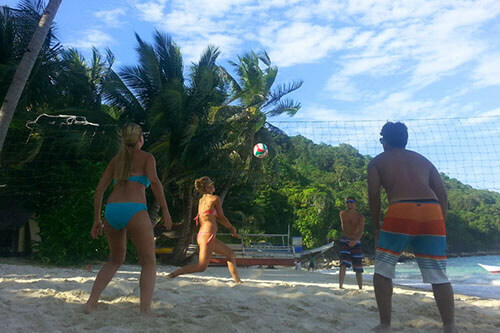 You can play volleyball, basketball, badminton or other games at the beach and in the Coconut Garden Resort. But the Resort provides electricity only for a couple of hours every day, which is an awesome experience too! Nobody needs to be on the phone often, while being on vacation. The restaurant of Coconut Garden Island Resort is great, they serve delicious international food. You can pick between delicious local dishes and Swiss dishes. I loved everything they cooked for us, but the Goulasch with noodles was my favorite. The price for a room for one night is 700 Pesos (14 Euro), for one bungalow is 1.400 Pesos (28 Euro). Every room is with ocean view and a little terrace as well as a mosquito net over your bed. We loved the lonely beach with the crystal clear water. It is one of the most relaxing places I have ever been to. Almost every morning Jeremy and I went snorkeling around the reef of the beach and it was truly the best: there are so many different species of fishes and we found 3 turtles around Cacnipa Island. The underwater world is so incredible there. Almost every day we played volleyball on the beach with our friends or poker at night after the good dinners in the restaurant! 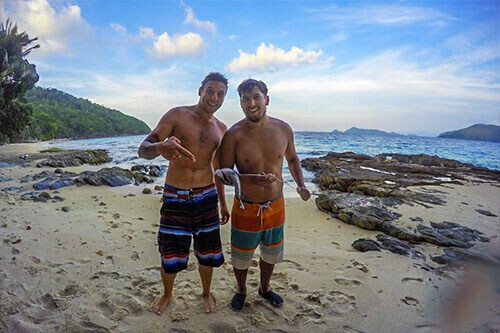 Jeremy and his new friend went spear fishing and caught one! 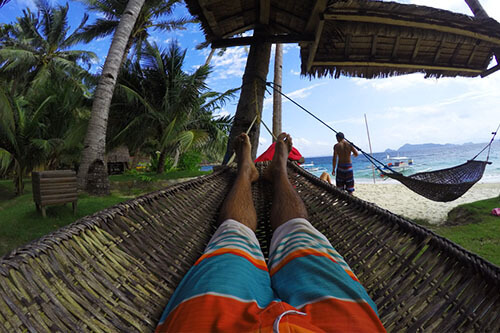 I will never forget how relaxed I was when I was chilling in the hammock in this beautiful scenery on Cacnipa Island, also called Coconut Island!